Peregrines have been nesting in the Bin Quarry for at least 30 years. 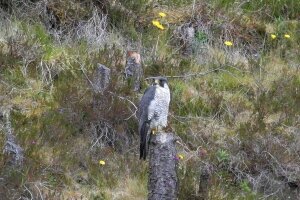 The viewing centre has live coverage and recorded footage of adult Peregrines and chicks from cameras located at the nest site and quarry. There are binoculars and telescope available at the hide as well as wildlife wardens to answer any questions you may have. 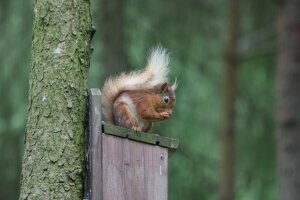 Other species present include Red Squirrel and Siskin as well as other woodland birds.